2017 saw a number of major malware attacks that infected computers on a global level. These included some pretty nasty ransomware attacks such as NotPetya and WannaCry that encrypted user data, withholding it from their own owners. Unlike other forms of malware, ransomware is purely used for monetary gain. The only way users could get their data back was by paying a ransom to the attackers. Major corporations affected by these attacks ended up paying millions just to get their data back. These attacks only served to highlight the dangers of the internet age and how important it is to remain wary of the different threats out there. Of course, the most common way to remain protected is by actively avoiding things that might infect your computer such as illegal downloads, opening emails from unknown sources, pornographic websites and more. The rise in popularity of cryptocurrency has lead to newer forms of attacks such as web mining, malicious eWallets for cryptocurrencies and more. Attackers are notorious for finding new and ingenious ways to try and infect your computer. Traditional means of staying vigilant such as only using websites that offer a ‘secure’ HTTPS connection are no longer as safe as they used to be. This means that the best way you can stay safe from attack is still through a security software offered by researchers who always strive to remain a step ahead of the attackers. Kaspersky is a name that is well-known for offering some of the best security software in the industry. The company has been in the business for years and definitely knows how to keep your devices protected from attacks. 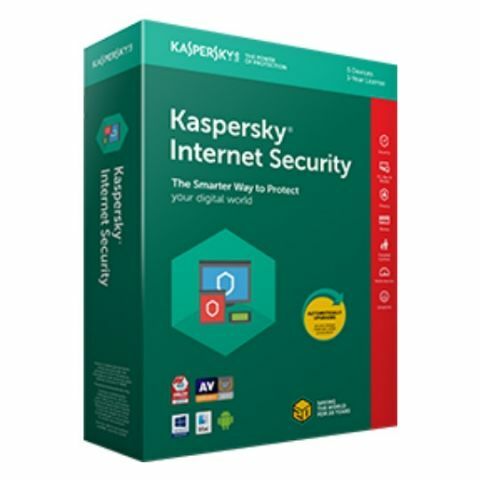 Kaspersky has a number of software products in its portfolio, including Kaspersky Internet Security Suite, which you can purchase right now by clicking here. As the name would suggest, Kaspersky Internet Security Suite focuses on protecting your device from any online threats that you may encounter. The suite offer multiple different types of protection, so let’s take a quick look at what they are and how they protect you. Kaspersky Internet Security Suite offers protection from multiple types of malware such as viruses and spyware. Viruses can seriously harm your system by corrupting your data, while and spyware records and monitors everything that you do, and then reports back to the attacker. The latter is especially dangerous since most of us do our banking online and a spyware could potentially send your credentials to an attacker. On top of this, it can also warn you against any phishing attacks. The simplicity and ingenuity of the types of attacks you can face online are quite clear when it comes to phishing. In this, you are led to an authentic looking website where you are asked to log in with your details. The login information is then sent back to the attacker, giving them access to your account. With Kaspersky’s solution, you’ll be warned whenever you are about to visit one of these fake websites. With so much of our lives revolving around the internet, it’s vital that we maintain our privacy. However, hackers have devised multiple ways of tracking not just what you are doing on your computer, but also what you re doing in real life. The latter is done through various means such as gaining access to your webcam and then spying on you. This can then be used for blackmail. Even the microphone could be turned on remotely. With Kaspersky Internet Security Suite, you can also rest easy in the knowledge that you won’t being spied upon. The suite protects your online behaviour from being tracked and even stops your own webcam from being used to spy on you. Further to prevent your microphone from snooping around, the suite automatically blocks unauthorised access to microphone data. Online banking and shopping is possibly the best thing to ever happen to us. The days of standing in line for ages just to withdraw cash or running around aisles trying to find the right product are long gone. Now you can control you money at anytime and from anywhere. However, if any attacker gets access to your banking credentials, your money is at their mercy. When banking or shopping online, you would want an extra level of security to protect your bank details being winding up in the hands of a hacker. This could then be used to drain all your funds or even blocking your access and holding the login details to ransom. Kaspersky Internet Security Suite adds an extra layer of security, so you can conduct banking transactions or shop online in peace. Time is money and that is why all of us tend to get quite miffed when you are faced with a slow and laggardly computer. However, in order to ensure peak performance, many users tend to keep things clean and install as little apps and software as possible on their PC. However, in their quest for performance, many users tend to forgo a security suite because they feel that having such a suite will hamper the performance of their computer. However, most modern security software, like Kaspersky Internet Security Suite is designed with efficiency in mind. They are able to efficiently manage programs so that you get the most out of your machine, without worrying about performance drops. In fact, good security software can also helps you prevent a major performance drop due to web miners. These types of malware are the product of the cryptocurrency craze and are used to hack into your system and use your computer hardware to mine cryptocurrency for someone else, this leads to an even greater strain on your computer. Simplicity is something that is very important for any software and this goes double for security software. A complicated and difficult to use software can drive away many users, especially those who are not that familiar with technology. It is especially important to make it easy for the latter at these are the people who are most at risk from attackers. Kaspersky Internet Security Suite is simple to setup and use, which makes it ideal for those who aren’t that well-versed with technology. This helps ensure that more people are able to install the suite and keep themselves safe from attackers or any other threats that they might face on the internet. Kaspersky’s Internet Security Suite works with a multitude of devices. So you don’t have to worry if it will work on the device of your choice. The suite is compatible with PCs, Macs and even mobile. This is especially useful as you’ll have a single suite protecting all your devices. So you get a similar experience and level of protection across your devices. The best part is that since your devices are linked to a single licence. You’ll only have to pay once for your security services. To ensure that you get the original version of Kaspersky Internet Security Suite, you can purchase it directly from the company by clicking here. You also get to choose the length of time you want the security for as well as the amount of devices you want to use the service on. This flexibility ensures that you get the security that is ideal for your needs and requirements. With so many features, it’s no wonder the Kaspersky Internet Security received the MRG Effitas’ principal annual Online Banking/Browser Security Award for the third year in a row. Not only that, but it was also awarded AV-Comparatives’ Outstanding Product Award 2017 for the seventh year in a row.